Novels that feature writers have become a tired trope in contemporary literature: like Chekhov’s gun, the first sign of Microsoft Office booting up in a book will invariably result in the delivery of some meta-manuscript in the final act, with some cheeky uncertainty over whether this draft might someday become the bound text the reader is holding. This literary trick has been utilized by authors ranging from Borges to Stephen King, as well as by a glut of young contemporary novelists toeing the line between cleverness and writing what they know. These new novels rarely achieve anything remarkable with their self-referential prose, and often use their circular gimmick for a perfunctory ending: their books fade out when their novelist finishes writing. This kind of fiction all falls apart on the same hilltop of perceived brilliance, novels trying to not simply be stories but about stories at the same time. 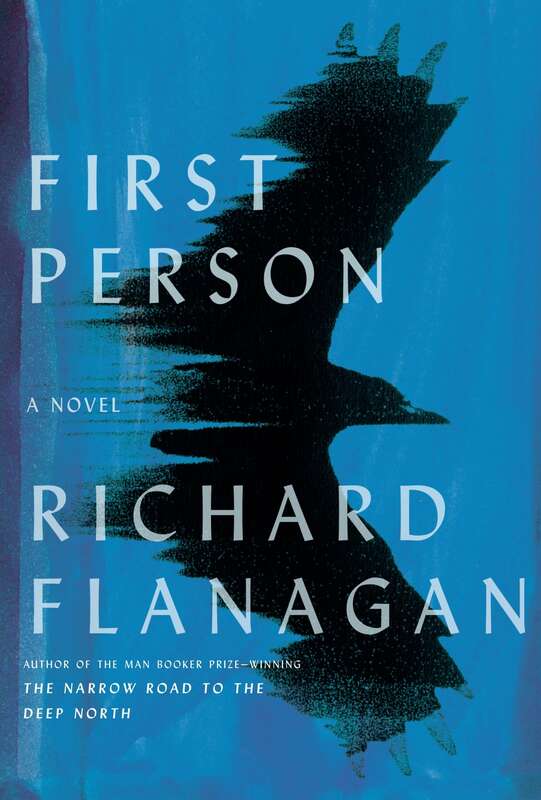 It seems Richard Flanagan (winner of the 2014 Man Booker Prize for The Narrow Road to the Deep North) is similarly frustrated with this trend and with his new novel, First Person, he attempts to simultaneously ace the maneuver and lay it permanently to rest. And he does. Although built upon an overdone concept, First Person is as good an effort as one will ever find. Any young writer thinking their debut novel will be about a struggling writer’s first manuscript should look to Flanagan’s book for guidance (or, even better, look and move on to their next outline): it’s a stale idea for a book, but it doesn’t get any better than this. Through a personal referral, aspiring writer Kif Kehlmann has been hired to ghost write the memoir of Siegfried Heidl, a Bernie Madoff-meets-Julian Assange con man about to go on trial for defrauding banks for nearly a billion dollars in investment capital. Kif is promised ten thousand dollars at the completion of his work, which must be delivered in six weeks due to the impending legal proceedings. Kif’s friend Ray, Heidl’s bodyguard, warns him that Heidl enjoys manipulating people and might get into his head, but Kif persists throughout his assignment. With a wife at home pregnant with twins and little money flowing into their home, this paycheck would be a life-changing boon (not to mention the affirmation he would feel by finally putting out a book). First Person achieves exactly what it intends to, and that success is thanks to a number of elements. 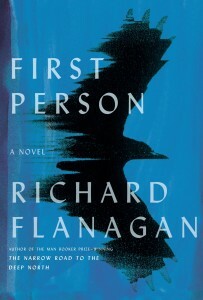 While Kif is a bright, Shakespeare-quoting intellectual with “so many opinions, certainties and verities about writing,” First Person is not high literature and instead reads like a psychological thriller: twenty-two sections with about five small chapters each give the novel as many breaks as a James Patterson book. Some chapters are little more than script-like stretches of dialogue, often ending with ominous, page-turning tension. Theoretically, Flanagan has lots to say about writing and writers, but has wisely found the best way to approach these highbrow ideas is in the mantle of a beach read. Most importantly, Flanagan resists the urge to romanticize writing and being a novelist. Kif is a miserable man with an alcohol and drug habit, and is often cruel to his pregnant wife. While First Person opens with Kif receiving his assignment, it ends long after his Heidl project concludes, which allows Kif’s arc to develop to a satisfying fullness. This transforms the novel into something far more resonant than simply a book about books, and proves that those self-referential discussions are better nestled in a novel carried by its a characters and their drama.